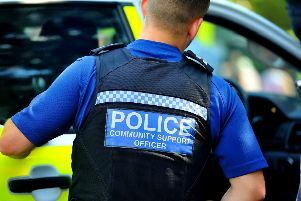 Two people were injured after a crash involving two vehicles in Bexhill this afternoon (Wednesday, June 8). South East Coast Ambulance Service sent one ambulance to Crowhurst Lane at 1.05pm. Paramedics treated two people at the scene, including a woman who had a burn on her arm possibly caused by the airbag, but neither needed hospital treatment. The road was blocked in both directions at Glovers Lane because of the accident, according to BBC Travel.